Create your own custom-fit gas line with this 1/4" ID Tubing. 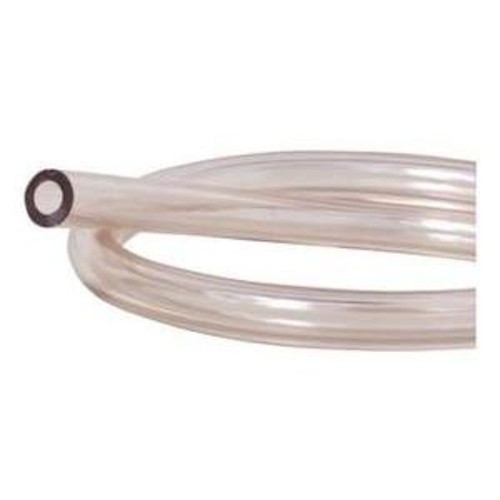 This diameter of tubing will give you an extra-tight fit gas line, particularly with homebrew quick disconnects. Simply soak the 1/4" line in hot water before attaching to larger 5/16" fittings. It is also well suited for beer lines that are 10-25' in length. Adding another tap to my converted glass front TRUE cooler, sweet. I always like to have good quality tubing around for my kegging. Great hose at a great price! I use for craft beer bar systems. What is the max PSI for this line? BEST ANSWER: Hi Justin - This line is rated for 70 PSI.